This nifty little trick is not only pleasing to the eye, but a truly brilliant and in many cases essential means of successfully and assuredly identifying the mushrooms that you have gathered. What’s more, it couldn’t be simpler – all you need is a piece of paper and a glass (or mug, bowl, cup, or plastic tub of some kind). Spores are essentially the seeds of a fungus. Mushrooms, with a few exceptions, have either gills or tubes on the underside of their caps. Here they produce spores – tiny microscopic seeds that can be spread on the wind. The spores of different mushrooms have different colours, and if you can get enough spores together, you are able to see their colour with the naked eye. This information is incredibly useful in determining identification. 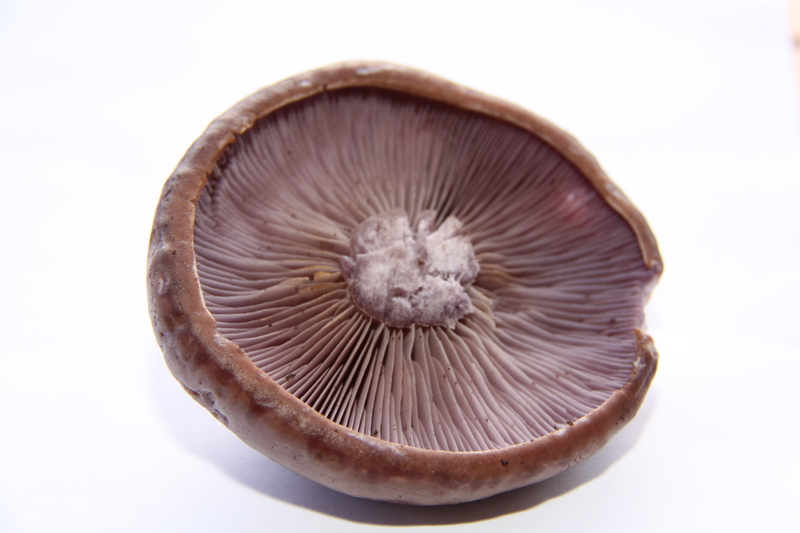 Wood Blewits, for example, have pale pink spores. Some similar looking Webcaps have brown spores. So, if you are at all uncertain take a spore print. 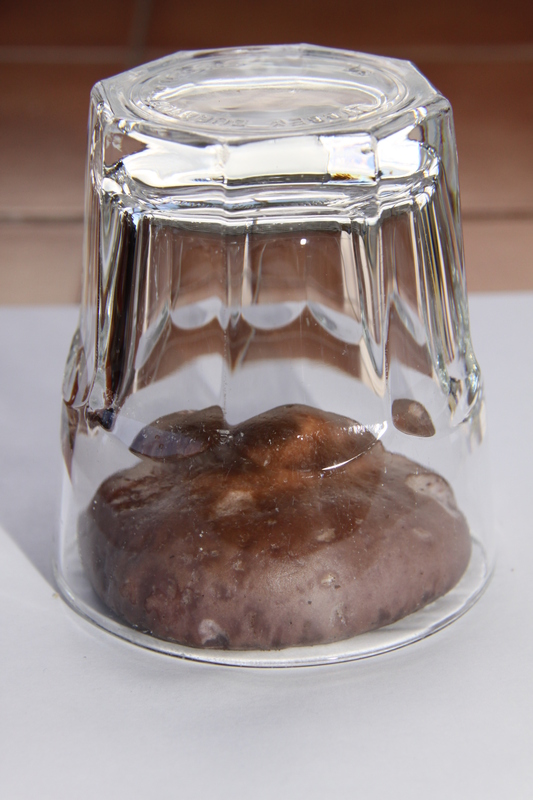 Please note: Determining the spore colour of your mushroom is not a short-cut to identification of the mushroom. Always make sure that your mushrooms have all the distinguishing features contained in your guide books. 1. Slice off the stem of your mushroom. 2. Place the cap, gills or tubes side down, on a piece of paper, and place a glass (or some other beaker) over the top. This will prevent the mushroom from drying out, and also remove any draft that may affect the spore print. Leave for at least 2 hours, though 6 hours or even longer is better. 3. Check the colour against your identification guides. The pale pink spores confirmed that this mushroom was indeed the Wood Blewit. P.S. Check out the artistic use of spore prints by Jo’s Green Room or Pretty Cool Spore Prints. John Waldron is a technology and business writer for markITwrite digital content agency, based in Cornwall, UK. He writes regularly across all aspects of marketing and tech, including SEO, social media, FinTech, IoT, apps and software development. This entry was posted in Mushrooms and tagged family activities, foraging, free food, Identifying wild mushrooms, spore prints, Taking a spore print, wild food, wild mushrooms. Bookmark the permalink. Brilliant – I had heard of this but never understood how it was done. Thanks so much! Thank you!! How you doing? 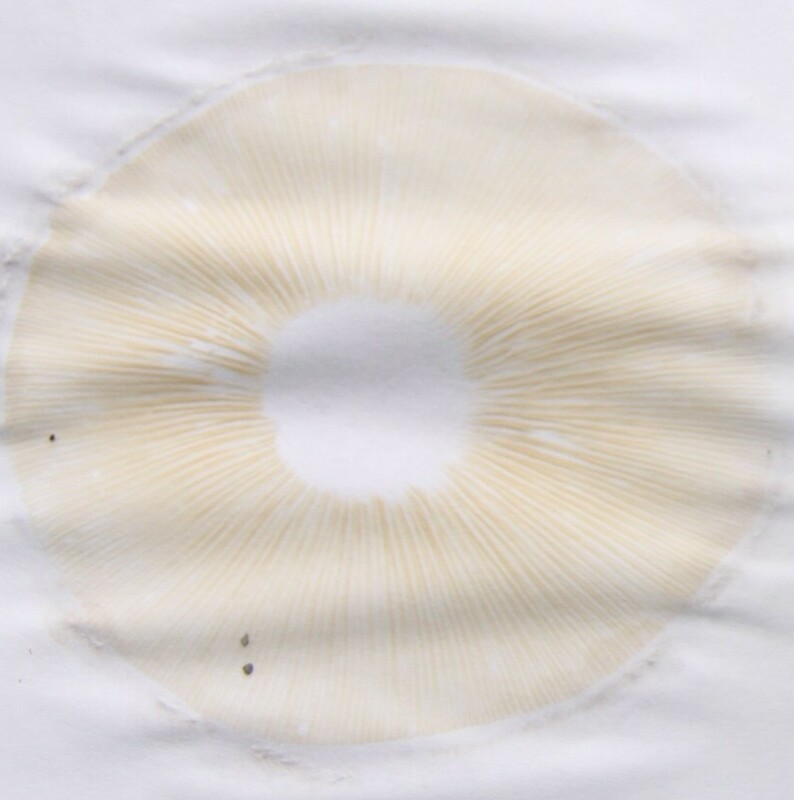 Note that if the spores are light colored, they can be difficult to impossible to see on white paper, especially if the mushroom fails to drop a lot of spores. Therefore, I always set up spore collections so that half of the cap is over light (white) paper, while half of the cap is over dark (e.g., black) paper. 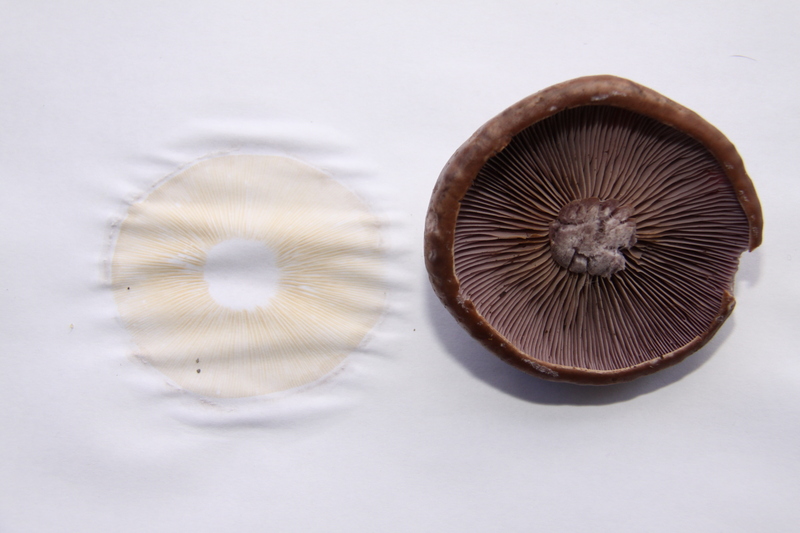 Alternatively, if you have more than one specimen of each mushroom type, put one of the shrooms on white paper and another on black paper to cover all possible spore color outcomes.